It's a Mom Thing Reviews & More! : The Jungle Book teaser trailer is here!!! The Jungle Book teaser trailer is here!!! So, here is a quick little tid-bit about me: some of first words were "The Jungle Book". As a toddler and child I was ridiculously obsessed with the Disney animated version of The Jungle Book. It was to the point that I would make my family watch it over, and over, and over again with me. One of my earliest memories is actually watching The Jungle Book with my grandparents. Okay, now that I did a total throwback for you I have super exciting news! 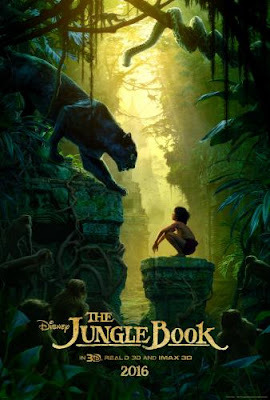 There is a new The Jungle Book coming to theaters April, 15th, 2016! Needless to say, my family and I are completely thrilled. More exciting news, the official US teaser trailer is here! Watch it below! Let us know what you think and if you will be seeing it! Visit the official The Jungle Book website HERE! I loved the animated video that came out years ago and still have 1, 2 & 3. Will probably take Madison to see this when it's released.